Fuel Off-Road Wheels - Fuel wheels are the best when comes to off-road style. Whether you have a Jeep or a truck, Fuel Off-Road wheels will make your beast look astonishing at all times. Don't go Off-road with just any off-road wheels. We have the right Fuel off-road wheel to enhance your passion and make you feel great about it. 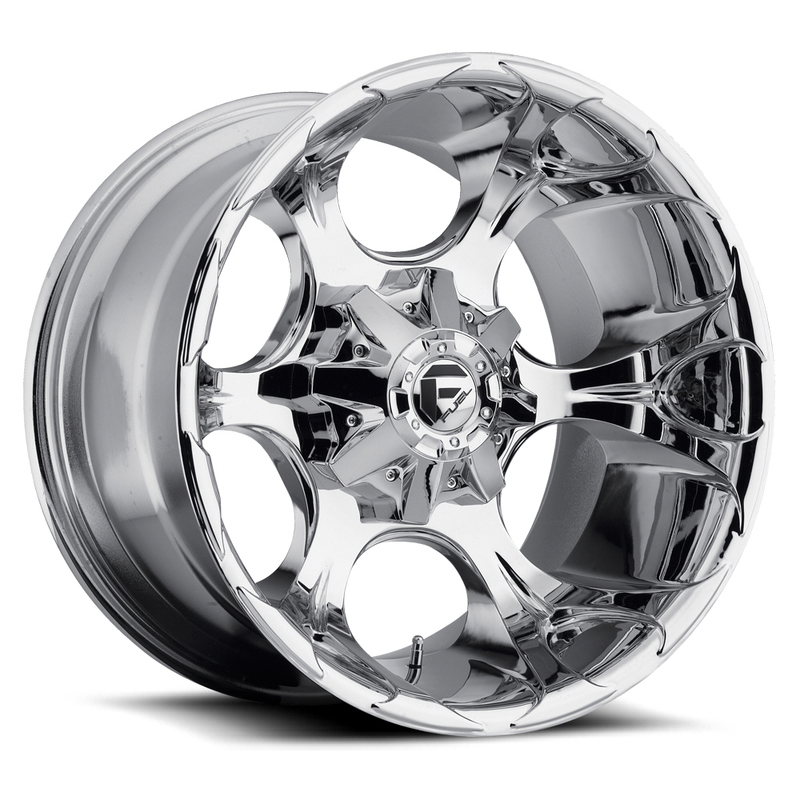 Fuel Off-Road wheels accommodates every off-road needs, whether your taste is for 1 piece wheel, 2 piece custom wheel or maybe 3 piece custom forged wheels. No matter what’s the style you crave for, we have what it takes to make you feel even good about your ride. Select Fuel truck wheels from sizes: 22x12 fuel wheels, 22x10 fuel wheels, 20x10 fuel wheel, 20x12 fuel wheel, 20x14 fuel wheels. It’s time to enhance your passion and feel great about it, and here’s a chrome wheel finish that goes well with any car style or any color. The chrome finish is great when comes to the enhancement of your vehicle, and does not matter if your car is black, red, yellow, blue or white… Chrome rims are the best choice to make leaving no room for regrets. Give your car the finest touch it deserves, and give yourself the good feeling of empowerment.